Hornets, wasps, bees, carpenter bees, and yellow jackets throughout Central Massachusetts can be not only a nuisance, but a danger for anyone allergic to the venom in their stings. Because hornets, ground wasps, bees, carpenter bees, and yellow jackets can be so dangerous, it’s best to leave their eradication to professionals like the experts at Ford’s Hometown Services. A single stinging insect such as hornets, wasps, bees, carpenter bees, and yellow jackets is bad enough, but a swarm of them can be deadly, overwhelming the body’s natural defenses with the cumulative effect of the venom from multiple stings. That’s why it’s so important to have the nests of hornets, ground wasps, bees, carpenter bees, and yellow jackets found and eliminated as soon as possible, especially because ground wasp nests can be so difficult to find. This will ensure the safety of you, your family, your neighbors and anyone visiting your property. Hornets, wasps, bees, carpenter bees, carpenter bees, and yellow jackets have been known to rebuild their nests in the very same places, even after they’ve been completely destroyed. If that’s the case on your property, the professional at Ford’s Hometown Services can advise you on ways to make your property less attractive and discourage hornets, ground wasps, bees, carpenter bees, and yellow jackets from re-infesting your yard or home. Some tips include simply changing your landscaping or property by trimming any plants they may have built nests in, or closing off or otherwise restricting building openings they’ve been known to build in. In some cases, using decoy nests discourages nest rebuilding. 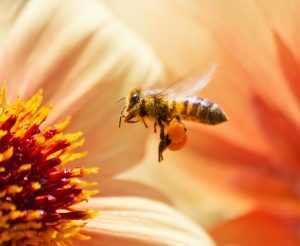 If you need hornets, wasps, bees, carpenter bees, and yellow jackets removed from your property, including ground wasp nests, contact the pest control specialists at Ford’s Hometown Services for prompt, professional, and effective hornet, ground wasp, bee, carpenter bee, and yellow jacket elimination.